As a woman who has gracefully entered her 50th year, it is time to reassess the handbags piled up in your closet. There are many opinions about the right handbags for 50-year olds. If you want to buy a new $2,000 handbag, there are hundreds of fashion “experts” and bloggers who will happily help you part with your money. The best bags for women in this age range are those that come with different carrying options to ease the strain on your shoulder, arm, or hand. Here are a few handbags that may improve your life after 50. This is a compact but spacious handbag for 50-year-olds. It is available in three different colors to suit your style. It is made of high-quality PU material, detailed fabric lining, and durable metal chain strap. It features three separated pouches including 1 zipper pocket perfect for holding cards, keys, phone, and other items. 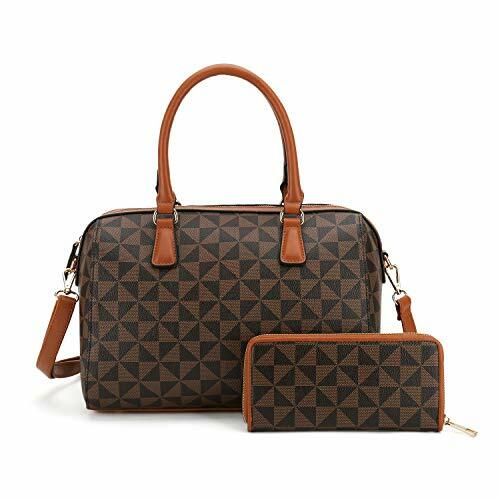 It has a stylish and practical style ideal for everyday dress wear and travel. It is hands-free, and you don’t have the weight on your shoulders from carrying the bag. This handbag can be used as a crossbody bag/shoulder bag through the adjustable shoulder strap. This shoulder bag makes it the perfect choice when you are tired of lugging those big tote bags around. 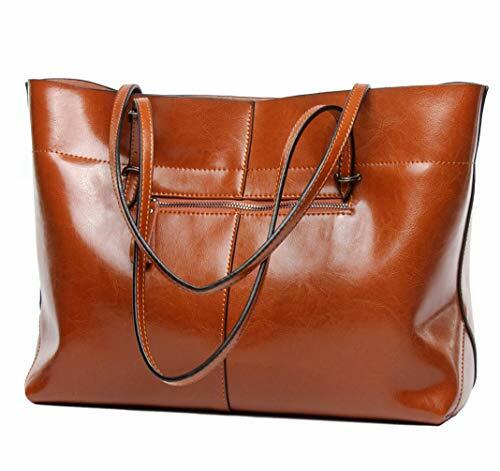 This bag is available in several attractive colors, and it is made of high-quality soft artificial leather. You will find many uses for this bag because it is a structured bag and it can sit on any surface without folding over. The compartments inside this bag let you organize the inside of the bag however you like. It is a roomy bag perfect for carrying your day-to-day gear. You can either wear this bag on your arm or carry it on the hand. For those women over 50 years old looking for a Birkin bag style but prefer a purse they can wear on their shoulder, this bag from Anifeel keeps the essential ingredients while also throwing in an adjustable shoulder strap. 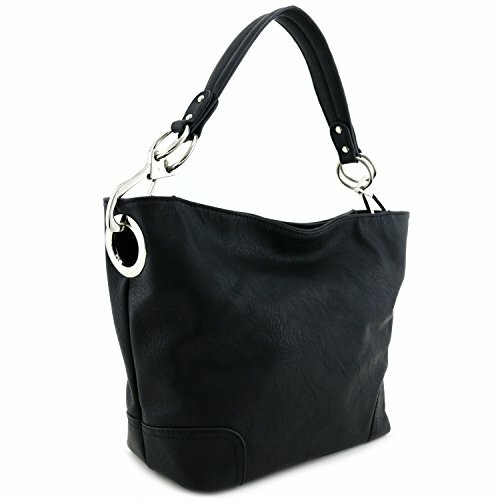 This bag is available in dark blue and stylish black along with 21 other color options. The Anifeel is made from high-quality cow leather, and it comes with a recognizable handle and padlock. 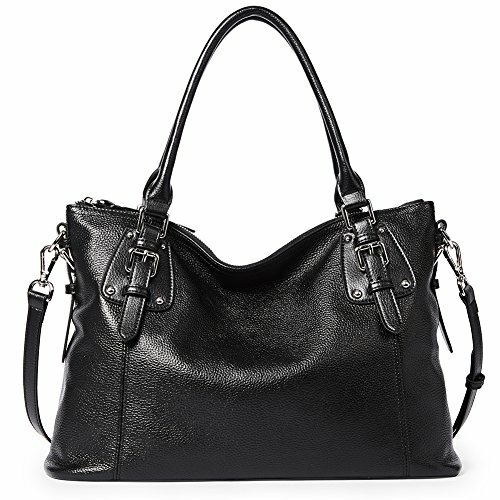 This handbag is made from high-quality faux leather that is water and scratch resistant. It has different compartments including 2 zippered pockets that allow for easy organization. You can wear this bag on your arm and on your shoulder so when you feel a strain on your shoulder, you can easily make a switch. It is available in various color options to match your style. It features an adjustable 50-inch shoulder strap and double-rolled, top handles that allow for individual interpretation. This is a large capacity handbag with enough room to spare. 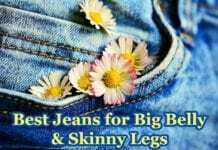 It can also be worn on the shoulder or arm. This bag is made of high-grade full-grain leather and printed side panels. The uniquely placed zip design can be used to increase the space, and it also adds to the sophistication. It also comes with interior pockets with a zip and 8. 5-inch double handles. This bag allows for multiple carrying alternatives as you can carry it on your shoulder if you are tired of holding it. 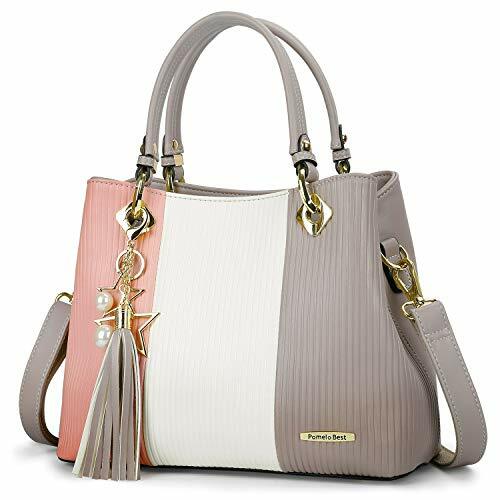 The BOSTANTEN leather handbag is made from high-quality cowhide leather with durable silver hardware. The four textured metal rivets in this bag protect against wear. This bag has different compartments including an interlayer zipper bag, 2 open pockets, and an interior slot pocket. It is a large capacity bag designed to hold all your essential items when on the go. It is designed with two carrying straps – a double leather handle long enough to put on the shoulder and a long removable and adjustable long shoulder strap. 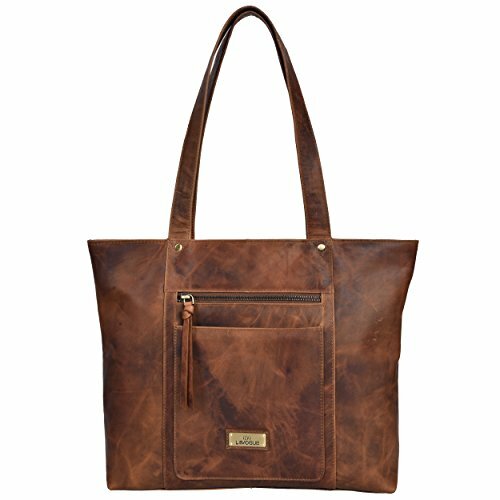 This handbag is comfortable and convenient to wear as a tote, crossbody, or shoulder bag. The Pomelo handbag is a functional and fashionable bag for 50-year-olds. The 8 internal pockets in this bag make organization easy. It is durable and made of premium faux leather. It comes in varying color combinations perfect for the different occasion. The Pomelo handbag comes with a detachable and adjustable strap so you can carry it as a crossbody bag or a shoulder bag. It also allows you to adjust the shoulder strap according to your needs. It is also roomy enough to carry all your womanly needs. For any woman over the age of 50 who still wants to look and smart and glamorous, the Alyssa Hobo shoulder bag is a perfect choice. This handbag will enhance your feeling of style, complement your outfit and give you enough room for your essentials. It features a big snap hook hardware which makes organizing your everyday items easier. The durable detachable strap will suit a variety of occasions. 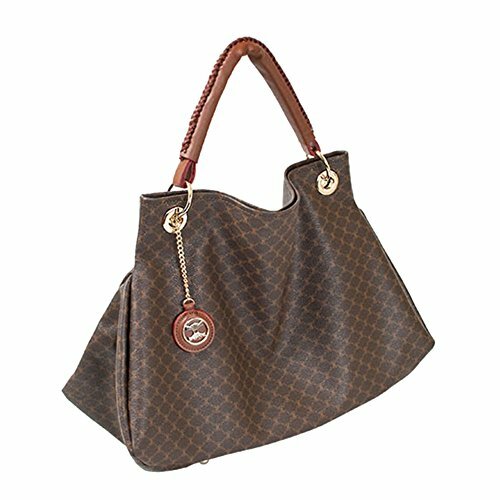 The LCFUN women’s shoulder bag is made of premium polyester lining and PU leather that is very durable and fashionable. The flower pendant decor and simple styling make this bag easy to match any outfit. It is perfect for shopping and daily use. This handbag scores are high in terms of organization. There are 3 main pockets, 2 interior slip pockets, and interior middle zipper pocket that helps you continue everything handy. It also comes with an exterior back zipper pocket that can comfortably hold your iPad, iPhone, wallet, books, cosmetics, and much more. The detachable and adjustable shoulder strap makes this bag easy and comfortable to carry. You can carry this purse as a shoulder tote bag, handbag, or crossbody bag. 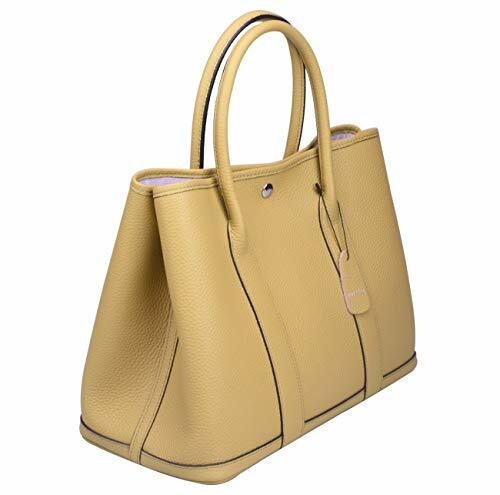 The ITSCOSY women tote bag is made of high-quality tear-resistant and anti-scratch PU leather. It comes with a scientific and reasonable pocket lining design that makes your items to lie systemically in the bag. This is a multi-functional bag you can wear as a handbag, crossbody bag, or shoulder bag. The shoulder strap in this bag is removable and adjustable. This is a spacious bag that can take in all your essential items. This handbag is great for travel, business, work, and more. 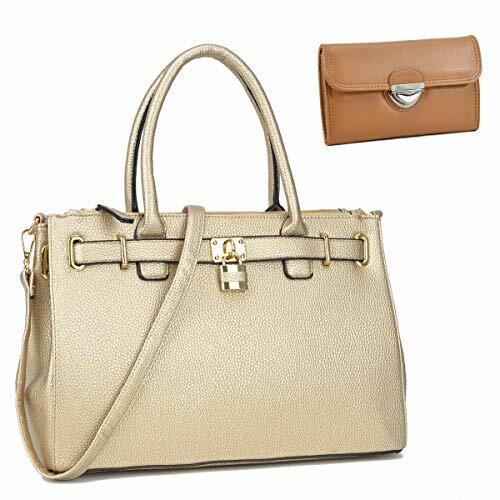 The LADY’S NOVA satchel purses and handbags are made of 100% eco-friendly PU leather that is fashionable and durable. 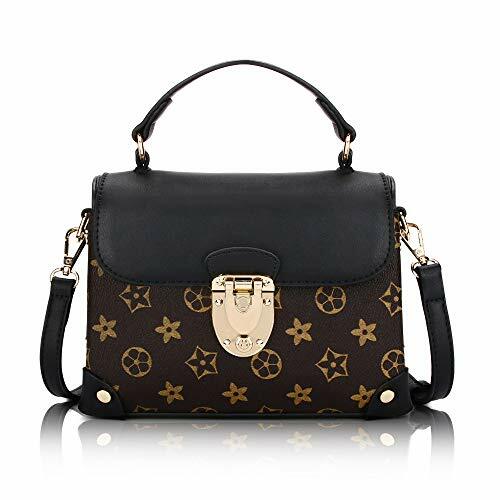 This is a fashionable and classical handle shoulder bag that comes with a purse bag. The top zipper closure allows for additional security. This bag is roomy enough to store all your everyday items. There are 1 main compartment, 1 internal zipper pocket, 1 exterior zipper pocket, 2 open pockets, and 1 zipper wallet that allows for easy organization. You can carry this bag as a large tote bag to take your items when going out. 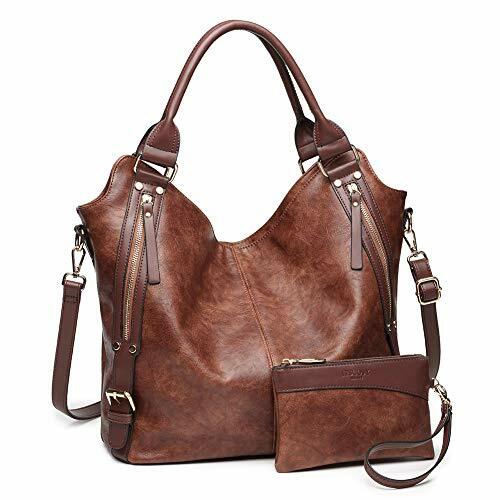 The handle drop of this bag is sturdy and perfect so you can also carry it as a shoulder bag. When going out for quick shopping, you can use the wallet that comes with this bag. 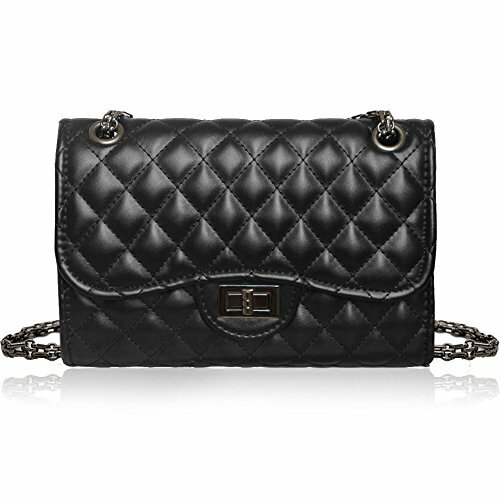 This mini crossbody bag is made of smooth, soft leather and designed with two carrying straps. The long and removable strap is for shouldering while the short one is for a handheld. It is designed to last for a long time, and its portable design makes it perfect for a night out or a casual dinner. This bag is also roomy but not overly, and it comes with 1 inner pocket, 1 zipper pocket, and 2 main pockets enough to carry your mobile phone, wallet, paper towels, as well as other small items. It is adorned with a matured gold tone metal buckle. The Covelin women’s handbag is made from genuine cowhide leather with clear and delicate textures. It comes with a thin but durable handle. 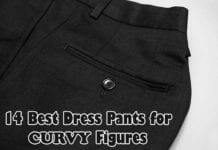 Its elegant beauty and retro style make it perfect for a formal or casual occasion. This bag is roomy and spacious enough to fit your daily essentials. There are 2 big compartments, 1 central zippered pocket, 2 pockets, and 1 zippered side pockets. There is also a back-zipper pocket where you can keep your keys and cards. It is comfortable to wear over your shoulder, and it goes well with any outfit. 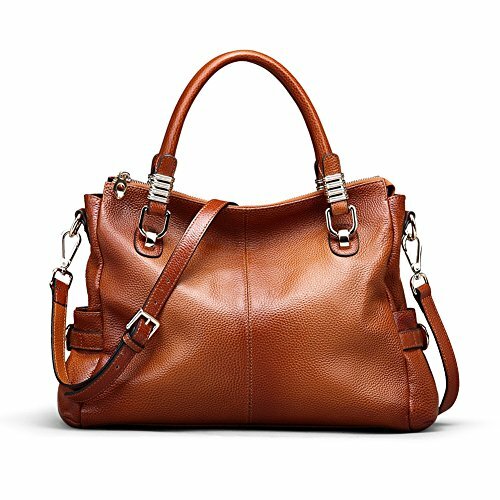 The LEVOGUE genuine leather shoulder handbag is a high-quality handcrafted leather bag that is gorgeous and durable. It comes with a metal zipper compartment, a mobile holder, and 1 interior zip compartment where you can keep all your essentials handy. It is perfect for all occasions, whether for an outing, work, or an evening out, this shoulder bag can help to complement your outfit. There are no age destinations for handbags, and a big part of your decision about which handbag to go for would be how to use it. 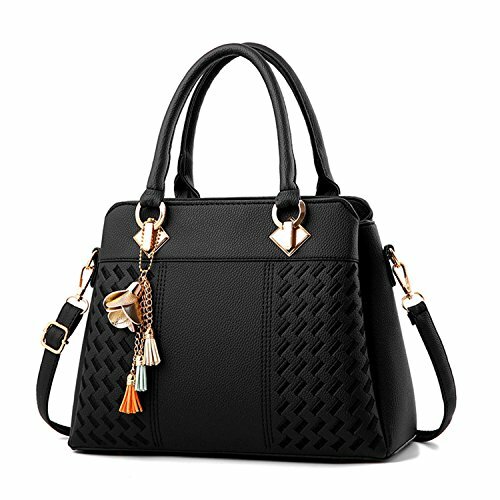 If you are the type that likes to carry a lot of items or your handbag serves as your second office, then a large capacity handbag may be more suitable. A thin clutch bag may be more appropriate for an evening out or a casual dinner. 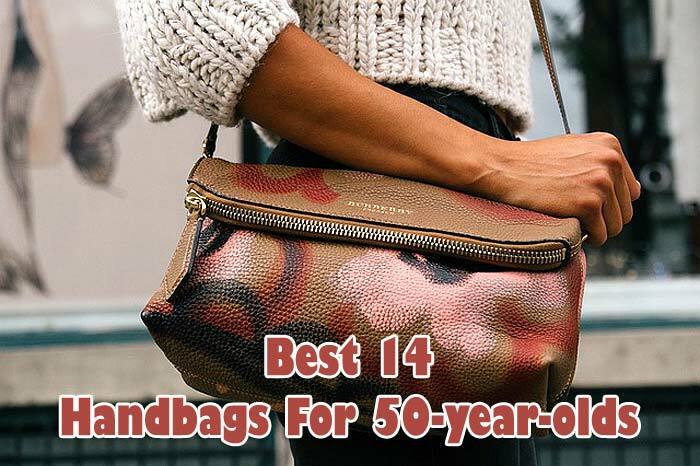 Any of these handbags would make an excellent choice for any woman over the age of 50. TackyLiving.com is a participant in the Amazon Services LLC Associates Program, an affiliate advertising program designed to provide a means for sites to earn advertising fees by advertising and linking TackyLiving.com to Amazon properties. All information found on TackyLiving.com is intended for informational and educational purposes only. Copyright © 1998-2019 Tacky Living. All Rights Reserved.